Stanislav Grof's first 17 years of research into nonordinary states of consciousness induced by LSD and other psychedelics led to a revolutionary understanding of the human psyche. His research was the impetus behind a vastly expanded cartography of the unconscious, including two new realms still unacknowledged by official academic circles--the perinatal domain, which holds memories of the various stages of birth, and the transpersonal domain, which mediates experiential identification with other species and mythic figures, visits to archetypal realms, access to past life memories, and union with the cosmic creative principle. The research presented in this book provides a map of the psyche that is essential for understanding such phenomena as shamanism and near death experiences as well as other nonordinary states of consciousness. This map has led to the development of important new therapies in psychiatry and psychology for treating mental conditions often seen as disease and therefore suppressed by medication. It also provides a new threshold to understanding and entering the numinous realm of spirit. 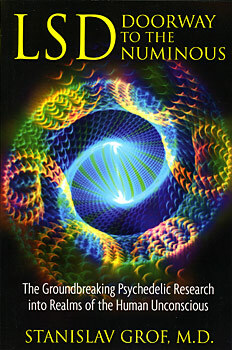 "Stanislav Grof is the undisputed world authority on LSD and the human psyche, and this book provides the best cartography of consciousness for understanding the profound impact of entheogens on the mind." "An extraordinary alchemical text that explores the vast dimensions of inner experience that have been ignored and marginalized by the mainstream. It provides a framework that synthesizes the unconscious and primal drives that secretly impel us to act. A must-read for all serious students of consciousness." Stanislav Grof, M.D., is a psychiatrist who has been principal investigator at the Psychiatric Research Institute in Prague, Chief of Psychedelic Research at the Maryland Psychiatric Research Center, and assistant professor of psychiatry at Johns Hopkins University. He is now professor of psychology at the California Institute of Integral Studies. His 20 books include Beyond the Brain, Psychology of the Future, The Cosmic Genius, and Spiritual Emergency. He lives in California.